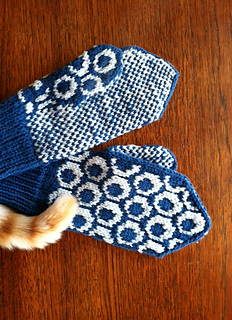 Warm and classic mittens for the cold weather. 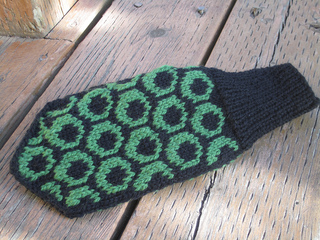 It is based on a traditional Scandinavian mitten-shape, but I have added a rib for comfort. The pattern contains a stitch diagram and a chart. 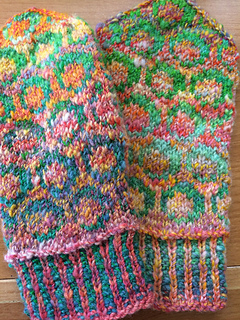 The mittens took a little more than one skein of the dark grey, and two thirds of a red skein.